Can Artificial Intelligence Replace Politicians? How Long Before We Conquer Aging and Death with Science? What Will the Future Look Like in 2025? When Will We all Become Cyborgs? 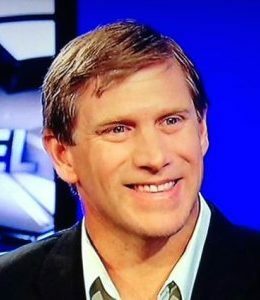 With his wildly popular US Presidential run as a science candidate, bestselling book The Transhumanist Wager, and powerful speeches at institutions like the World Bank, Zoltan Istvan has literally transformed transhumanism into a thriving worldwide phenomenon. He is often cited as the global leader of the radical science movement. A humanitarian activist and former journalist for National Geographic, Zoltan has been compared in major media to a young Al Gore and described as a modern-day Ayn Rand. Beyond extensive media coverage, Zoltan is an eloquent, Ivy-league educated man yearning to use science, technology, reason to dramatically remake humanity. Over the last two years, Zoltan has consulted for the US Navy as a futurist, interviewed to be Libertarian Gary Johnson’s Vice President, appeared on the Joe Rogan Experience (and dozens of other shows), and gave many speeches, including at Microsoft, the Global Leaders Forum, and the Financial Times Camp Alphaville (opening Keynote). Istvan was the only presidential candidate to be interviewed by underground mega-group Anonymous. Istvan’s award-winning 2013 novel The Transhumanist Wager was a #1 bestseller in Philosophy and also a top 5 Amazon book. It’s been compared in reviews to Ayn Rand’s work over 1000 times. It’s being taught in a few dozen colleges around the world as a warning and inspiration about the future. Coming out in 2017 is a feature documentary two years in the making called “Immortality or Bust” on Istvan’s ideas and campaign, including the story of his historic bus tour across America on the Immortality Bus. Istvan is the founder of the Transhumanist Party, the author the Transhumanist Bill of Rights, and a frequently interviewed expert on AI. Before becoming an acclaimed futurist, he was a journalist for the National Geographic Channel (often an on-camera reporter) and The New York Times Syndicate. Istvan has traveled to over 100 countries, and has a degree in Philosophy and Religion from Columbia University. Currently, he is also a columnist at Vice, and at the young age of 43, has a strong support base with millennials. He is a successful entrepreneur, with The New Yorker citing he made a minor fortune in real estate. Zoltan is married to a surgeon, and they have two daughters. Zoltan’s feature warzone documentary, Pawns of Paradise, on the Kashmir conflict between India and Pakistan, won two documentary awards and played in film festivals around the world. Zoltan was a Communications Director at WildAid, a major nonprofit wildlife organization that aims to stop wildlife poaching and protect endangered species. As an athlete, Zoltan was a national champion water polo player and is credited with inventing the extreme sport of Volcano Boarding, which debuted on the National Geographic Channel in 2002 and is practiced around the world today. Zoltan plays the guitar and piano, and owns a vineyard in Argentina.